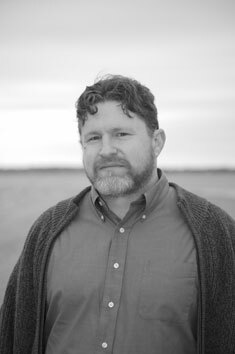 Brian Evenson’s story “Windeye” was published in PEN America 11 and selected for the 2010 PEN/O’Henry Prize Stories. It’s also the title story of this story collection. Brian Evenson is the author of more than fifteen books of fiction, most recently the horror novel The Lords of Salem, co-written (as B.K. Evenson) with Rob Zombie. Such a book might seem like an unusual move since Evenson is also the chair of the Literary Arts program at Brown University, but his career hasn’t followed any typical literary path. On one hand, his novel Last Days won the American Library Association’s award for Best Horror Novel of 2009 and the novel The Open Curtain (Coffee House Press) was a finalist for an Edgar Award and an IHG Award. On the other hand, he’s won three O’Henry prizes and an NEA fellowship, and he has translated work by Christian Gailly, Jean Frémon, Claro, Jacques Jouet, Eric Chevillard, Antoine Volodine, and others. He was also named a finalist for the 2009 World Fantasy Award for the story collection Fugue State. In this interview with Michael Noll, Evenson discusses his approach to “Windeye,” which mixes supernatural elements with the epistemological question of “How do we know what we know?” A writing exercise inspired by the story—especially the twist ending—can be found here. One of my favorite things about this story is how you set up the twist (the sister never existed). You could have dropped hints that she wasn’t real (not having her speak, not letting her interact with the world), but the story seems to take another approach, dropping hints that the world isn’t quite right. So, we’re introduced to the possibility that the house has a secret window not visible from the inside. We’re focused on this mystery—on the nature of the window/windeye— when, suddenly, the sister disappears. And then we’re focused on that mystery, on trying to understand what sort of world this is, when the mother says, “But you don’t have a sister,” suggesting that it’s the boy’s mind, not the world, that isn’t right. I’m curious if this misdirection was intentional? Did you know that the sister wasn’t real and so work to set up that revelation, or did you start with the mysterious window and discover that the sister wasn’t real? I started with the window. The genesis of the story began when I was at a poetry reading and heard writer Dan Machlin speak about the old Norse word “vindauga”, meaning “windeye”, which our word for window comes from, and which still exists in slight variant form in Norwegian. That kind of percolated in my head for a while since the term windeye seemed so provocative to me. I actually didn’t realize that the sister would disappear until she did, and was surprised and a little exhilarated when I found myself writing those words, but then realized that there were subtle ways that that was prepared for and that the reader might not expect, so that my mind, while writing, was subconsciously directing things that way. And I didn’t end up revising that story much (unlike most of my stories)–there was a simplicity and elegance to the way that shift took place in the story that I was worried about compromising, and it felt nearly right in the initial draft. A lot of writers might shy away from a story with such a dramatic twist, believing that such a move is a cheap trick. (That was the criticism leveled against both The Sixth Sense and A Beautiful Mind, fair or not. On the other hand, Vertigo is ranked as one of the best films of all time.) Of course, the twist in “Windeye” isn’t cheap at all. But did you ever worry that you might not be able to make it work? What separates a “literary” twist from a hack’s trick? There are things that I’ve done in stories that I worry about, but I think I mainly worry about them when I feel like I’m forcing them or trying to force a pre-existing idea onto the story. With this story, that twist just seemed right. I didn’t have to worry about making it work because it was there working before I almost knew it, so I felt like it had been given to me, so to speak. If I try to duplicate that effect deliberately while writing another story it rarely works. Still, I think my writing mind is both programmed to move toward moments where reality collapses and to be surprised when that happens, so that makes it possible for my subconscious to work through a series of thematic concerns that interest me but often to do so in a new way while my conscious mind is occupied with the language on the page–the sound and rhythm of the words, the patterns, etc. I think there’s a level of distraction I give the conscious mind that makes it possible for those things to work subconsciously. That may be the difference between “hack’s trick” and “effective trick” (I’m reluctant to call it “literary”): the first you consciously try to bring about, the other arrives organically in the development of the story, potentially surprising your conscious mind as much as it can surprise the reader. The hesitation in the prose, the sense of a mind talking to itself, seems like a trait more often found in first-person narratives. And yet, if the story was told in first-person, it seems like it would be almost impossible to tell. The reader would expect the narrator to explain certain things that are never explained—or cannot be explained. How did you find the right perspective and tone for the story? I love the ability of third person narrative to color itself with the ideas and feelings and words of a character within the story, giving you in effect the best of both first person and third person. It’s a way of both being close to the character and also continuing to see the character at least partly from the outside, of feeling an intimacy with him but also never being quite able to penetrate his head completely. It lets the narrative perspective slide just a little, which allows you to do a great deal. It can even have some of the characteristics of an unreliable first person voice, but still have narrative authority, which makes for a very unusual combination of authority and uncertainty. It’s a mode I use often for certain kinds of stories. I think I developed my own particularly usage of it when I wrote a story called “By Halves” (in a collection called Contagion) and initially wrote it in first person, but felt that it wasn’t quite right. In revision I ended up “translating” it into third person but tried to keep as much as I could, besides the pronouns, the same. That made me start to realize the possibilities of this sort of voice. In Scorcese’s documentary about Bob Dylan, Dylan (as I recall) says that he always knew he’d be successful and famous, but he couldn’t tell anybody. If he had, the dream would have just blown away. I’ve heard similar things from writers; they don’t like to talk about the projects they’re working on because their sense of what the project will become in no way matches its current state. They’re working on the book/story as a matter of faith. We admire this devotion to an idea in artists, but in other people (David Koresh, etc. ), the sense of purpose or potential is viewed as dangerously delusional. It seems that this story is tackling this same idea. The boy sees his sister, and after she’s gone, he still feels that she existed. To believe otherwise condemns his life to dull meaninglessness. He struggles between accepting the world as it seems to others and believing in his own, personal, unsharable sense of the world. In order to portray this struggle, your story needs a supernatural element. Without it, the story would fall short of its aims. In other words, it seems to me that some stories cannot be told without elements of genre fiction. Is that a fair statement? What do you think? I think that’s a fair statement. That’s of course nothing new in terms of literature—think for instance of the way that Henry James uses the ghost story or even the romance—so I feel like I’m in good company. At the same time, I do know that for some people these fantastical elements will make them wonder about whether a story counts as literature. More and more I feel that I want to read fiction that is lively and vibrant and intensive, and I’m not so worried as I once was about whether it is literature or genre: often the most interesting work is in a gray space between the two, taking advantage of tools that one mode or the other has forgotten or pushed aside and using it to reinvigorate a particular kind of writing. For instance, John Burnside’s The Glister is in a remarkable space where it feels very literary but it’s still drawing at least on the mood, and maybe more than that, of genre fiction. Or M. John Harrison’s Empty Space, which I’m in the middle of now, is unquestionably science fiction, but has a complexity and level of satisfaction that we more traditionally associate with literary texts. I’d much rather read either of those books than something that’s more firmly and defensively “literary” in a traditional way or that is committed to genre in predictable ways. The work that ends up revitalizing literature, I think, the most exciting work, exists on the edges.